(CNS): The Cayman Islands received just one award at this year’s World Travel Awards for the Caribbean, with the Ritz Carlton Grand Cayman winning The Leading Suite. Called the Oscars of the travel industry by the Wall Street Journal, the awards were dominated by Jamaica, which was named the Caribbean’s Leading Destination for the sixth year running. Jamaica also picked up the top spot for the Caribbean’s Leading Tourist Board and the Caribbean’s Leading Cruise Destination. Cayman did not feature even as a nominee in the latter award, with Aruba, the Bahamas, Barbados, the Dominican Republic and Trinidad and Tobago all nominated for the top cruise spot. Jamaica took the top placement in a number of other categories, including the Caribbean’s Leading Beach Destination (Negril), the Caribbean’s Leading Boutique resort (Golden Eye) and the Caribbean’s Leading Cruise Port (Ocho Rios). The World Travel Awards for the Caribbean were presented at a gala ceremony held at Sandals Royal Caribbean Resort & Private Island in Montego Bay, Jamaica, where the Ritz-Carlton Suite at The Ritz-Carlton Grand Cayman won its award, beating off St Lucia’s Beachfront Rondoval Suites at Sandals, Diamond at Eden Rock, St Barts and Four Bedroom Villa at One&Only Ocean Club, Bahamas. The Ritz-Carlton was also nominated for the Caribbean’s Leading Hotel Brand, but was beaten by Sandals resorts International. St Lucia won the title of Caribbean’s Leading Honeymoon Destination, another category in which the Cayman Islands were not nominated, while Casa de Campo in the Dominican Republic took the Caribbean’s Leading Resort category, beating fellow nominees Half Moon (Jamaica), Jumby Bay (Antigua), Four Seasons Resort (Nevis) and Sandy Lane (Barbados). 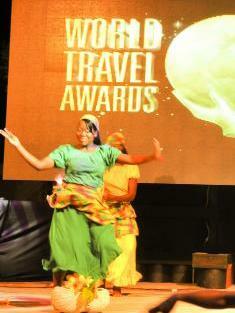 The Caribbean & the Americas Gala Ceremony was the final leg of World Travel Awards 2011 Grand Tour, and followed heats in Dubai, Turkey, Egypt and Thailand. The regional winners progress to the Grand Final, which takes place in Doha, Qatar, on 11 December. What do you expect? Big Boy Scott closed all the DOToffices in the US and laid off some of the most dedicated employees including Caymanians. Now he has sales reps in the US getting paid to work from their home in their pyjamas. And we wonder why Cayman only received one Oscar? Go figure!! Looks like that visit from Alicia Keys could have been money spent elsewhere to actually look like an attractive tourism destination and better marketing. Maybe the tonic needed for s wake up call for Cayman tourism. I'll echo the sentiments by 19.35 that we're lacking true Caymanian hospitality and that's what Jamiaca offers an authentic product. I've been to many islands throughout the Caribbean and I must agree that Jamaica ith it's culture, natural beauty and fantastic resorts is the best and I'm a 4th generation Caymanian. So I trust that Mac will see this as a golden opportunity to revitalize our tourismindustry for e.g. look at eco and cultural tourism and get at least 2 golf world class golf courses that will draw upscale tourist. I remember being 1 of only 20 native Caymanians in 2000 and today there's even less and so we need to get back to having Caymanians at servers, bartenders and front office staff. We need an experienced DOT Director to drive us forward as we be sitting around playing catch up in 10 years. I live in Cayman and if anyone would ask me if they should travel from Europe to Cayman or Cuba, I would tell them in Cuba they get much more for their money. 4. You can stroll through Havannah at night and don't have to be afraid (as long as you stay on the main roads). I continue to wonder – anyone noticed that the more we develope, the less people are coming??? Cayman doesn't have anymore what it once used to have – charme and tropical layed backe attitude (which is what people came for). Instead we have Hard Rock Cafe, Margarita Ville and Dunkin Donuts! One of the biggest failures in the development (on not) of our tourism product is the NON-DEVELOPMENT/EDUCATION of our people. For the past 20 years we have taught our young people that being in the hospitality industry was sub-servient and to serve with graciousness and a pleasant attitude was beneath them. We are seeing the results of this now – they still do not want to do the jobs they consider beneath them. What does Cayman expect? Unless you are a diver the tourist product here is awful. The beaches are not up to much. There is no appreciable historic or cultural attractions here. Grand Cayman is flat and scrubby for the most part. The Ritz is wildly popular with Americans of a certain type. But it does what it does very well. More big offerings like this will improve the tourist product of Cayman. We also need a runway to accomodate direct European flights. That one is a no brainer. You're right about the runway, I've seen longer and more accomodating runways on countries the same size that can accomodate airbus sized travel. As a Jamaican I am quite proud to see these awards. Credit must be given to our Minister of Tourism, Ed Bartlett. When many in Jamaica were against the developments that he was proposing to put in place, he went ahead and marketed the dickens out of Jamaica, including heading to the Far East to places like Japan, and China to tell people about Jamaica. In addition, our many artistes have taken the pride of Jamaica everywhere they go. Finally, and even more importantly, people want to come to the place where Usain Bolt was born. They want to eat authentic Jamaican food and hear the pulse of the music. To the person up top who said that bars were closing at 11:45, however, in Jamaica places of entertainment close at about 2-3 pm and most tourists know where to go and how to stay safe. I have had occasion to call hotels here on the Island making reservations for clients from overseas and if the reservations and front desk are the first point of contact I can now see why the tourism product is going downhill. Not only do you not even get a person answering the phones at some of the hotels, but you get a voice mail that is never checked and no one returns your call. When you finally get someone on the phone, you are burdened by the language barrier as the person on the other end of the line while able to speak English is unable to spell the name of visitors, some of whom are coming from the Middle East and therefore have very unusual names, that I can understand, but when you have a reservations' clerk who is having problems even spelling John Smith, then you have a problem. A walk through downtown George Town at the places that sell souvenirs leaves a lot to be desired. Whenever there are cruise ships in town there is never anyone to direct tourists to the bus stops or even to places where they can get t-shirts etc. In Jamaica, in the tourist districts, there are red coated officers and tourism personnel out and about in clearly marked clothes provinding you with information. The taxi drivers who are usually JUTA taxis are courteous, well dressed, and they have set fees that they charge. Cayman needs to get its act together. They are catering to a more upscale market and people of that calibre are used to a certain level of service. Cayman needs to train the people that they are hiring and if they have any doubts, they should perhaps try calling the Ritz Carlton and attempt to make a reservation. Class all the way. I agree in changing those in high positions, as they are NOT CAYMANIANS. Thats where we have gone wrong.Most of the people in the tourist industry are NOT CAYMANIANS.Years ago when we had especially West Bayers working at the hotels , and cab drivers even if they could not spell BREADFRUIT things were much better. You had people like Ms Billylee , Ms Rosita, Ms Marguerite, Ms Betty, Ms Melba, Ms Fe Fe, Mr John and the list goes on,attending to the Tourist in the stores the Tourist were more happier. Just imagine when they walk in the stores and hear the Spanish and the Phillipino language that they cant understand, and when they talk to some folks and ask questions about Cayman they hear "CAYMAN IS A GOING DOWN MAN THE CAYMANIANS DONT LIKE WE". this is frequently heard all over. But I still believe that Cayman is still one of the best destinations in the Caribbean, and its very easy to fix our problems.The most important thin that we need to do is to control prices, and the second is staffing. So much for the Great work McKeeva says he is doing for Tourism! Then blame who should be to blame….the caymanians. If it wasn't for the caymanian owner, the foreigner would not have the opportunity to work in that position. If the Caymanian wanted the job, then the foreigner wouldn't be in the position. If the Caymanian was increasing the population at a fast enough rate to fulfill the position then this would not be an issue. Oh but wait, the Caymanian child is told not to go into the service industry and to seek only the white collar office job. Oh wait, don't get an education to get the job, just call your cousin the politician to get you the job. Bobo prices will readjust itself on its own. Take a look at the housing market and the decrease in rental pricing. Well those little trinket stores that are charging too much for garbage will either close down or lower their prices. As for suggestions for improvement. Cayman should provide what the affulent expect and that is a superior service. There is beautfiul sand and sea around and the safety factor still remains. Cayman is much safer than many other destinations, though the news is publicising quite a bit now. Just think of other countries where crime is not in the paper, it is because it is so common it is no longer newsworthy. Cayman should provide above and beyond what is currently being provided. So for instance, the taxi wants to charge whatever it charges, well ensure that the vehicle is in tip-top shape. Nothing rundown and nothing ordinary. If the taxi will provide ordinary, then the price of the drive should reflect that. So not only a clean car, but in a manner of a butler service. The airport staff should have extensive customer service training. They are the beginning and the end of a vacation. All government schools should implement as part of the curriculum from the primary to high school a "ladies and gentleman" grade. It would develop each students personality for the service industry. Now before there are negative comments. Providing the children these skills from an early age until graduating high school is beneficial because the skills aren't exactly limited to the service industry. All jobs require a customer, whether it is the service industry or another occupation. What about the parents that are reinforcing that working the service industry is not good. Well, let's be honest, these parents that are saying this are probably getting govt money. Make it a requirement for any individual getting govt money to go on the customer service skills course and have them work a certain amount of hours a year in the service industry. If not no cheque. I know how we can win it in all categories. Do it the way businesses do it. Learn from the best. Or better yet, HIRE the best from the competitor get them to implement the strategy in full force. Get the best to teach the current staff how to do it and how to keep it going. Implement that philosophy and there you have it. This is not about Caymanians and expats this is about knowing how to do it. What is currently on payroll is obviously not cutting it. Hire the ones that know how to do and the ones that have proven they can do it. DO NOT HIRE an overpriced expat shaman that says he can do it. Hire someone that already has proven abilities. How do I lay it out for you? Hire all the top heads in Jamaica in the tourism industry. Bring them to Cayman and have them revamp the place to what the tourists want. Got it? GOOD! Who cares that some people don't like Jamiaca or Jamaicans. This is not about Jamaicans at all. This is about learning from the proven experts. The results have it that they are the leading experts. This should be a wake up call! Hello!!! Anybody home??? Jamaica has the Caribbean’s Leading Cruise Destination! Jamaica has the Caribbean’s Leading Boutique resort! Jamaica has the Caribbean’s Leading Cruise Port! Jamaica has the Caribbean’s Leading Tourist Board! Why haven't the Macaroon and his minions and the Minister of tourism not flown over to Jamica to learn how to nurture a vibrant, sucessful, award-winning, first-class tourist industry? They fly everwhere else at the drop of a hat to "see how things are done". Yeah. Right! All these first-class junkets are nothing more than expensive 5-star, gourmet vacations at the expense of a public stupid enough to tolerate such waste. The reason Mac and Minions have not gone to Jamaica to learn how it is done is because they are probably not particularly fond of Jamaica as a vacation and party destination; the other reasons are likely to be arrogance and pride. Hellooooo??? People??? Are you listening? We were not even nominated in some of the more important categories! Not even nominated!!! After learning of this year's regional winners, I have been on a search for a fitting tourism award for The Macaroon, our tourism board and the ministry of tourism, but thus far I cannot find a mound of cow dung appropriately large enough. If the Minister did not learn its not because he did not visit Jamaica or associated with enough of them. But Bo Bo I dont know why we dont place as we have almost half of Jamaica here or is that our problem?I will tell you what our problem is and that is our Country has changed ever since we have an imported population, there is only a few of us left. Thanks to all who helped to ruin a good thing. what do you expect when you kick tourists out of bars at 11.45pm on a saturday night?????? Jamaica really does market its product well. Last time I visited Jamaica the hotel I stayed in was nearly 100% occupancy. Guests seemd to be from all over. UK and US, many from Central America and a substantial amount from Holland. The Cayman Islands have consistently failed to go where the money is – the all-inclusive package holiday market – and concentrated on ripping off a steadily reducing group of loyal visitors. What does surprise me is that Cuba failed to feature in the results. Based on my own experience their tourism industry is in a class of it's own. What the hell is DOT or the minister of tourism doing?? We have central and South America as a potential market also. Copa airline one of the largest and most successful in the world. Er, sorry Shirlock, its not the DoT that owns the Tourism product. It's the XXXX members of CITA, the bad attitude taxi drivers, and the cheap trick peddling store owners who offer nothing fresh and innovative at aridiculous price. They are the ones to thank for this wonderful Tourism product. They are the ones who cry out to spend the advertising dollars to promote their dumb ideas. And there you go Mr. Scott. Still happy with your urr Minister of many things and master of none. Ritz Carlton 1 for suite is ok but beaten by SANDALS. Lets face it our tourism is no better then our finances and that my friends is far from being a good thing. Still want to close West Bay Road ? How about the dock in Red bay ? How about reinventing the wheel ? How about stepping down Mr.Bush and UDP and let's vote a whole new set of ministers in the Legisslative Assembly and please retire Madame Speaker. Great Job!! Minister of Everything! Is there a category for a resort owing the host country the most money? Jamaica will soon become the number one destination for technology in the caribbean too! congrats to cayman on the awards earned. ..and will take best Cruise Port again next year for Falmouth..beautiful. Wake up Cayman, the Sun dont only rise and set here! Planning Board and Liquor Board needs to go, complete reform! What is an issue is giving the tourist value for money and a great experience whilst here. And a lot has to do with the money grabbing attitude of Taxi drivers and the hotels and bars. Stop ripping people off!! The Prophet says this was fair trade. Mind you, teh Prophet is a Caymanian, but the truth is the truth. Jamaica has much more to offer than Cayman in tourist attractions. So fair trade is fair trade, and to further elaborate, I must say, take a look and examine what the Cayman Islands is doing wrong. I would say everything. First I must ask this question. In a tourism Gala for your country, how in the world could those responsible from Top to bottom, Imagine serving rice and beans with chop sticks. Salt beef and beans with bagel sandwich. Now you go and figure it out, why Cayman cannot place anywhere in anything. Not unless they change those at the top and put people who know about culture in dress, culture in food and culture in speach. Shame on you all.